Join us for the launch of the Burmese translation of Malay Sketches! Translated into Burmese for the first time by noted Burmese translator Moe Thet Han, Malay Sketches is a collection of flash fictions that record the lives of members of the Malay community in Singapore written by award-winning writer and playwright Alfian Sa’at. The translation of the book grew out of a literary translation workshop in Yangon in 2015 called Link the Wor(l)ds, jointly organised by PEN Myanmar, Writers’ Centre in Norwich and The Select Centre. Alfian was invited as the resident writer from Singapore at the workshop, where he worked with a group of 10 aspiring Burmese translators on Malay Sketches. Come listen to the writer, translator and publisher Myay Hmone Lwin of NDSP (Ngar Doe Sar Pay, meaning “Our Literature”) as they share about the journey of the translation, and what this project means to both Singapore and Myanmar literatures. For more information about TranslateSingapore 2017 programmes and to get tickets, please click here. TranslateSingapore is back for the third year as we celebrate “SG Translation Month”! Click here to find out more about the highlights this year. Alfian Sa’at is a Resident Playwright with W!LD RICE, one of Singapore’s most recognised theatre companies. His published works include three collections of poetry, One Fierce Hour, A History of Amnesia and The Invisible Manuscript; a collection of short stories, Corridor; a collection of flash fiction, Malay Sketches; two collections of plays, as well as the published play Cooling Off Day. Alfian won Best Script at the Life! Theatre Awards in 2005 for Landmarks, in 2010 for Nadirah and in 2013 for Kakak Kau Punya Laki (Your Sister’s Husband). In 2011, Alfian won the Boh-Cameronian Award in Malaysia for Best Book and Lyrics for the musical The Secret Life of Nora. In 2013, he won the Boh-Cameronian Award for Best Original Script for the play Parah. In 2001, Alfian won the National Arts Council Young Artist Award for Literature. His plays and short stories have been translated into German, Swedish, Danish and Japanese and read and performed around the world. Moe Thet Han was born in Yangon in 1982. He is a writer and translator. He has translated the novels of international contemporary writers including Haruki Murakami, Michel Houellebecq and Ben Okri. He is the author of a novel Fake World, Fake Sky, as well as three collections of short stories – I think, therefore there is not Descartes; Life Sentence; and The Nation of Unhappiness. He participated in the International Récollets de Paris Artist in Residency Program in 2010, and the 4th Jakarta ASEAN Literary Festival in 2017. Myay Hmone Lwin (the pen name for San Mong Aung) is a writer and publisher. His publications include a short story collection An otter sneaked out from the Yangon Zoo (2014); four novels such as What has been Written on the Stone can’t be Erased by an Eraser (2013); as well as two poetry collections, Wanna Ride? (2010) and Scuttlebutt, which was published in a bilingual edition and launched at the Singapore Writers Festival in 2015. He is the founder of NDSP (Ngar Doe Sar Pay, meaning “Our Literature”), a publishing house which has published about 150 titles, many of them bestsellers and potential classics of Burmese literature. In 2014 he was nominated for the International Publishers Association’s Freedom to Publish award. In the same year he won a Salai Tin Maung Oo Literary Award. 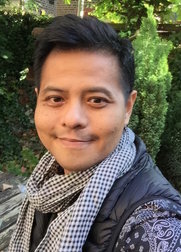 He was selected for the International Writing Program at Iowa in 2014, and edited an anthology of Burmese writing at Iowa called A Knot is where you Tie a Piece of Rope. In 2015, Myay Hmone Lwin helped organise the first literary translation workshop in Myanmar called Link the Wor(l)ds. He is the founder of Yangon Book Plaza, the biggest book plaza in Myanmar.